Area rugs add a very important design element when creating a space. While they often serve a utilitarian purpose, such as preventing outside dirt from moving beyond the foyer or keeping your feet warm when you step out of bed, they can also anchor a room, make it feel finished and add both warmth and color to a space. Here are a few interior design tips for using area rugs in your home. If you have an open floor plan or a large multipurpose room, area rugs can be used to divide the space into separate living areas. Consider using an area rug to separate the living room from the dining room, or to define the play area in a child’s bedroom. Have a reading nook in your master bedroom? Use an area rug to set it apart. A similar rug in different sizes can help separate spaces while maintaining a unified design and color palette. While painting your walls a bold hue is a big commitment, an area rug is a relatively easy place to play with color in your home. Finding a rug that fits with your design can sometimes be a challenge. Look for a neutral rug that incorporates one or two colors found elsewhere in the room, such as window treatments like curtains or drapes, a comforter or the decorative pillows on the living room sofa. This way, the area rug won’t compete with other patterns and designs in /products/the room. Use the rugs in your home to define your personality, set a theme, or tell a unique story about your family or the house. These types of area rugs work well in entry ways and foyers, where the design is uninterrupted, but they can be a beautiful accent in any room. Set the tone for an Adirondack home with a rustic area rug or welcome guests to your beach house with a nautical design. If your personality is traditional and demure, use oriental rugs to capture your essence. Area rugs anchor a room, so you need to choose wisely. At the same time, don’t be afraid to play with colors and patterns. Oh and have you tried layering? If this all seems a bit daunting, our team of design experts at Curtain & Carpet Concepts is here to help. We offer free design consultations and are your local dealer for area rugs in Saratoga Springs. 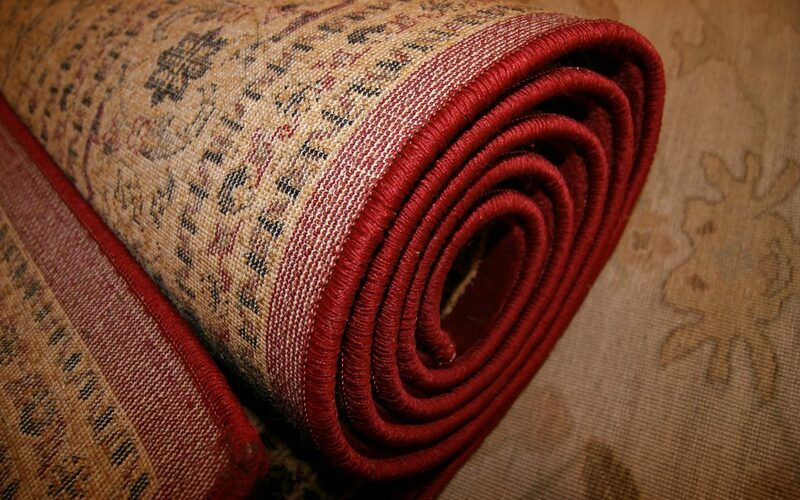 We carry a variety of fabrics, colors, prints and textures, including natural fiber carpets, Safavieh and Karastan area rugs, the full line of Ralph Lauren area carpets, and both traditional and modern area rugs. Visit our Saratoga Springs Curtain & Carpet Showroom for inspiration or call us at 518-886-1389.